Studying elasticities is useful for a number of reasons, pricing being the most important. Imagine that a band on tour is playing in an indoor arena with 15,000 seats. To keep this example simple, assume that the band keeps all the money from ticket sales. Assume further that the band pays the costs for its appearance, but that these costs, like travel, setting up the stage, and so on, are the same regardless of how many people are in the audience. Finally, assume that all the tickets have the same price. (The same insights apply if ticket prices are more expensive for some seats than for others, but the calculations become more complicated.) The band knows that it faces a downward-sloping demand curve; that is, if the band raises the price of tickets, it will sell fewer tickets. How should the band set the price for tickets to bring in the most total revenue, which in this example, because costs are fixed, will also mean the highest profits for the band? Should the band sell more tickets at a lower price or fewer tickets at a higher price? The key concept in thinking about collecting the most revenue is the price elasticity of demand. Total revenue is price times the quantity of tickets sold (TR = P x Qd). Imagine that the band starts off thinking about a certain price, which will result in the sale of a certain quantity of tickets. The three possibilities are laid out in Table 1. If demand is elastic at that price level, then the band should cut the price, because the percentage drop in price will result in an even larger percentage increase in the quantity sold—thus raising total revenue. However, if demand is inelastic at that original quantity level, then the band should raise the price of tickets, because a certain percentage increase in price will result in a smaller percentage decrease in the quantity sold—and total revenue will rise. If demand has a unitary elasticity at that quantity, then a moderate percentage change in the price will be offset by an equal percentage change in quantity—so the band will earn the same revenue whether it (moderately) increases or decreases the price of tickets. If demand is . . . Then . . . Therefore . . .
A given % rise in P will be more than offset by a larger % fall in Q so that total revenue (P times Q) falls. A given % fall in P will be more than offset by a larger rise in Q so that total revenue (P times Q) rises. A given % rise or fall in P will be exactly offset by an equal % fall in Q so that total revenue (P times Q) is unchanged. A given % rise in P will cause a smaller % fall in Q so that total revenue (P times Q) rises. A given % fall in P will cause a smaller % rise in Q so that total revenue (P times Q) falls. If demand is elastic at a given price level, then should a company cut its price, the percentage drop in price will result in an even larger percentage increase in the quantity sold—thus raising total revenue. However, if demand is inelastic at the original quantity level, then should the company raise its prices, the percentage increase in price will result in a smaller percentage decrease in the quantity sold—and total revenue will rise. How much of an impact do we think a price change will have on demand? How would we calculate the elasticity, and does it confirm our assumption? What impact does the elasticity have on total revenue? Figure 1. Parking is often a hot commodity on campus. How elastic is the demand for student parking passes at your institution? The answer to that question likely varies based on the profile of your institution, but we are going to explore a particular example. Let’s consider a community college campus where all of the students commute to class. Required courses are spread throughout the day and the evening, and most of the classes require classroom attendance (rather than online participation). There is a reasonable public transportation system with busses coming to and leaving campus from several lines, but the majority of students drive to campus. A student parking permit costs $40 per term. 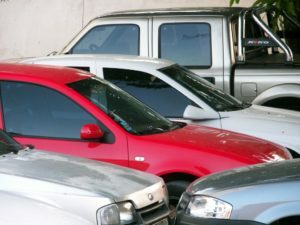 As the parking lots become increasingly congested, the college considers raising the price of the parking passes in hopes that it will encourage more students to carpool or to take the bus. If the college increases the price of a parking permit from $40 to $48, how many fewer students will buy parking permits? If you think that the change in price will cause many students to decide not to buy a permit, then you are suggesting that the demand is elastic—the students are quite sensitive to price changes. If you think that the change in price will not impact student permit purchases much, then you are suggesting that the demand is inelastic—student demand for permits is insensitive to price changes. In this case, we can all argue that students are very sensitive to increases in costs in general, but the determining factor in their demand for parking permits is more likely to be the quality of alternative solutions. If the bus service does not allow students to travel between home, school, and work in a reasonable amount of time, many students will resort to buying a parking permit, even at the higher price. Because students don’t generally have extra money, they may grumble about a price increase, but many will still have to pay. Let’s add some numbers and test our thinking. The college implements the proposed increase of $8, taking the new price to $48. Last year the college sold 12,800 student parking passes. This year, at the new price, the college sells 11,520 parking passes. First, looking only at the percent change in quantity and the percent change in price we know that an 18% change in price will resulted in an 11% change in demand. In other words, a large change in price created a comparatively smaller change in demand. We can also see that the elasticity is 0.58. When the absolute value of the price elasticity is < 1, the demand is inelastic. In this example, student demand for parking permits is inelastic. The college earned an additional $40,960 in revenue. Perhaps this can be used to expand parking or address other student transportation issues. In this case, student demand for parking permits is inelastic. A significant change in price leads to a comparatively smaller change in demand. The result is lower sales of parking passes but more revenue. Note: If you attend an institution that offers courses completely or largely online, the price elasticity for parking permits might be perfectly inelastic. Even if the institution gave away parking permits, students might not want them. Figure 2. Would a small raise in price deter you from a cookie? cookies for sale on the counter? In this example we are going to consider a baker, Helen, who bakes these cookies and sells them for $2 each. The cookies are sold in a convenience store, which has several options on the counter that customers can choose as a last-minute impulse buy. All of the impulse items range between $1 and $2 in price. In order to raise revenue, Helen decides to raise her price to $2.20. If Helen increases the cookie price from $2.00 to $2.20—a 10% increase—will fewer customers buy cookies? If you think that the change in price will cause many buyers to forego a cookie, then you are suggesting that the demand is elastic, or that the buyers are sensitive to price changes. 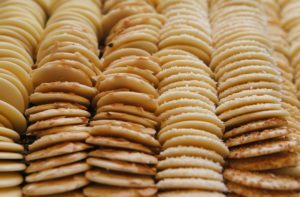 If you think that the change in price will not impact sales much, then you are suggesting that the demand for cookies is inelastic, or insensitive to price changes. Let’s assume that this price change does impact customer behavior. Many customers choose a $1 chocolate bar or a $1.50 doughnut over the cookie, or they simply resist the temptation of the cookie at the higher price. Before we do any math, this assumption suggests that the demand for cookies is elastic. Adding in the numbers, we find that Helen’s weekly sales drop from 200 cookies to 150 cookies. This is a 25% change in demand on account of a 10% price increase. We immediately see that the change in demand is greater than the change in price. That means that demand is elastic. Let’s do the math. When the absolute value of the price elasticity is > 1, the demand is elastic. In this example, the demand for cookies is elastic. What impact does this have on Helen’s objective to increase revenue? It’s not pretty. She is earning less revenue because of the price change. What should Helen do next? She has learned that a small change in price leads to a large change in demand. What if she lowered the price slightly from her original $2.00 price? If the pattern holds, then a small reduction in price will lead to a large increase in sales. That would give her a much more favorable result.